Since it’s start, Instagram has been all about the square. Even when it began allowing users to add video, it was square. Now they’ve finally decided to think outside the box. 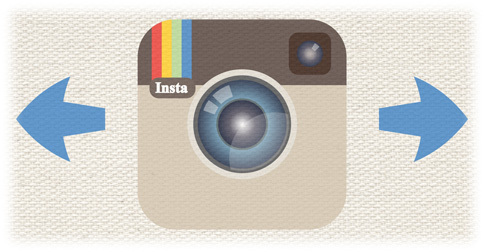 Instagram claims 20% of photos shared are in a format other than the traditional square. What that means is at least part of their user base is using something other than Instagram to take photos. Then they are cropping their content. If they surveyed users who uploaded video, that number would likely be much higher. But of course when Instagram launched, it wasn’t thinking about video. With the exception of Snapchat and mobile video, nearly all video is in landscape format. Almost all phones shoot in full HD. DSLR’s all shoot in full HD. Unless you’re using Instagram’s app to create video, the square is not intuitive. Supporting Landscape, and Portrait format for that matter, is a huge win for brands. Now video content can thrive without the confines of the square. Video content can be ubiquitous. Granted there are opportunities if you create content for a specific social platform. There are also challenges to this strategy. Instagram already has parameters to keep videos to 15 seconds. So why crop a video to a format that isn’t natural? Star Wars wrote the book on video marketing, so it’s no surprise that they are taking the lead exploring the new format on Instagram. You can bet that lots more movie studios will be taking advantage of the full HD format to grow interest in their upcoming releases. Brands too will be using Instagram to create fun content. Maybe teasers where the story starts on Instagram and finishes on their website or Facebook page. Or maybe quick snackable video content to pique curiosity. Forcing video into a square doesn’t make a whole lot of sense. Unless you’re shooting it natively in Instagram, you’re cropping out half the story. For Instagram to continue to grow but still be part of the Facebook family, change was necessary. Facebook is going to want content to formatted as it was intended, not cropped to fit for a media sharing app. It also allows Facebook advertisers more ways to promote their content, which frankly is the top reason why Facebook and Instagram made the format change. When Instagram launched, the square was a throwback to Poloroid and early photography. The square was a quirky way to set itself apart. But in a world where video rules and everything is widescreen, getting rid of the square was only a matter of time.